​Lewis Fork Wilderness, located in Smyth and Grayson Counties, was stablished in 1984. Lewis Fork is 6,076 acres of high elevation hardwoods, Red Spruce, and Frazier Fir. It is home to Mount Rogers, the highest point in the Commonwealth (5,729 feet). From a distance the summit appears to be shrouded in a dark cloak, an illusion created by the high elevation spruce/fir forest. Numerous small streams cascade down the slopes of Mount Rogers. Daves Branch, Charliss Branch, Grassy Branch, and Grindstone Branch all flow into Big Laurel Creek a tributary of the South Fork of the Holston River. Lewis Fork is a tributary of Fox Creek which in turn feeds the New River. All these creeks drain the northern part of the Wilderness. Helton Creek and the Middle Fork of Helton Creek tumble down the southern shoulder of Pine Mountain and are also tributaries of the North Fork of the New River. No matter the name, every creek in the Lewis Fork Wilderness is a designated cold water stream and suitable for native Brook Trout. Mount Rogers marks the summits of Pine Mountain and Balsam Mountain. Several finger ridges climb up the southern side of Pine Mountain. These include Wilburn Ridge, Cabin Ridge, and Briar Ridge. Elk Ridge, located on the north side of Pine Mountain forms the boundary between Lewis Fork (New River) and Big Laurel Creek, a part of the Tennessee Valley Authority. West of Mount Rogers is Elk Garden Ridge. Beginning at Elk Garden, this long ridge located on Balsam Mountain climbs to almost 5,000 feet before descending to Deep Gap. With elevations ranging from just under 3,400 near Big Laurel Creek to over 5,700 feet on the summit of Mount Rogers, the Lewis Fork Wilderness offers a wide range of forest types. 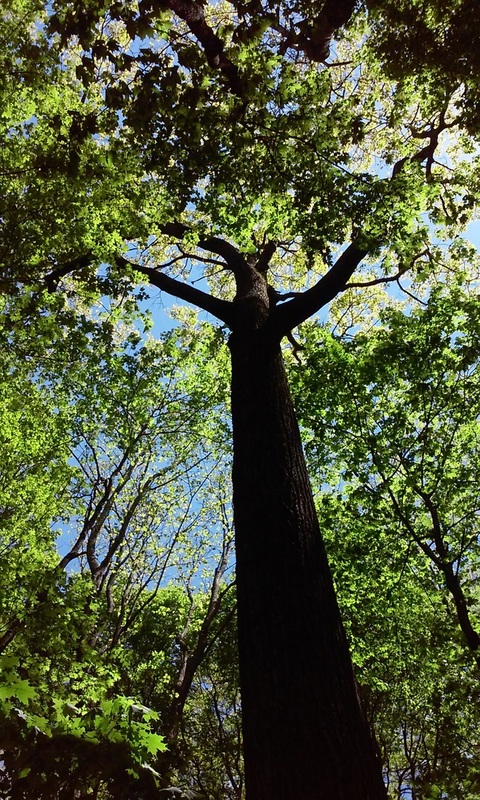 At lower elevations and in the protected coves, towering Tulip Poplar, Beech, Yellow Birch, and Sugar Maple compete for sunlight in the forest canopy. In the late fall, Mountain Ash dazzles visitors with its colorful red berries. On the high slopes of Mount Rodgers, Red Spruce and Frazier Fir form a dense thicket that covers the top of Virginia. The Frazier Fir and Red Spruce Forest are remnants of a forest that dominated Virginia during the last ice age. The high elevation of Mount Rogers is all that protects this rare forest community. ​Recreational opportunities abound in the Lewis Fork Wilderness. There are over 28 miles of trails in Lewis Fork and many of these trails when combined with the Grayson Highlands State Park trail system create loops of every imaginable length. The Appalachian Trail and the Virginia Highlands Horse Trail are the two premier trails. Through hikers on the AT and people riding horses are a frequent sight on many of the trails in the Lewis Fork Wilderness. The Wilderness is also the scenic backdrop for Grayson Highlands State Park and Grindstone Campground. Both campgrounds offer trails that climb to the summit of Mount Rogers. One of the big draws to the area are the wild ponies. 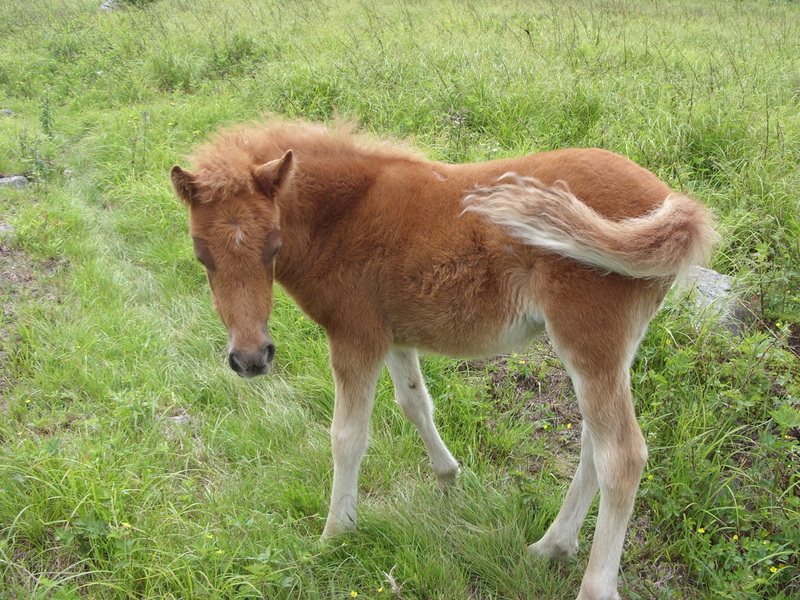 While not located in either Lewis Fork Wilderness or Little Wilson Wilderness, the ponies are often seen grazing the balds of the Grayson Highlands.